For modern businesses, a high-speed Internet connection is a requirement for internal collaboration, customer communications and interaction with vendors. GWI reports that 34% of newly-created jobs are directly tied to Internet connectivity. Making the decision to upgrade your company from business class, high-speed Internet to a fiber-optic connection can yield significant gains. Companies with fiber internet enjoy 20% lower operating expenses, due in part to speed, bandwidth, and availability increases. If your company relies on the Internet for customer service and communications, upgrading to fiber can facilitate efficiency and cost savings. If you're considering upgrading in Silver Spring, Maryland or Montgomery County, finding the right company is critical. There's an abundance of organizations who advertise "high-speed" internet connections, many of which are not fiber-optic. We've compiled an overview of your options, so you can determine which option is best for you. Of course, we're a little biased. Connectivity between Atlantech's Silver Spring data center and the local innovation center was the "first link" in Montgomery County's Ultra Montgomery plan to connect buildings to high speed Internet connectivity. With a goal of improving public safety and emergency services, Atlantech's "ultraGig link" to the Silver Spring Innovation Center was unveiled in August 2015. According to Bethesda Magazine, this option was chosen in part due to the 99.9999% uptime availability guarantee and "surprisingly affordable" rates. Atlantech is a provider of data, voice, and hosting solutions for businesses nationwide. They offer 24/7/365 expert customer support for commercial and residential customers in Silver Spring and Montgomery County, Maryland. Verizon Fios is among the largest nationwide providers of fiber-optic internet services. 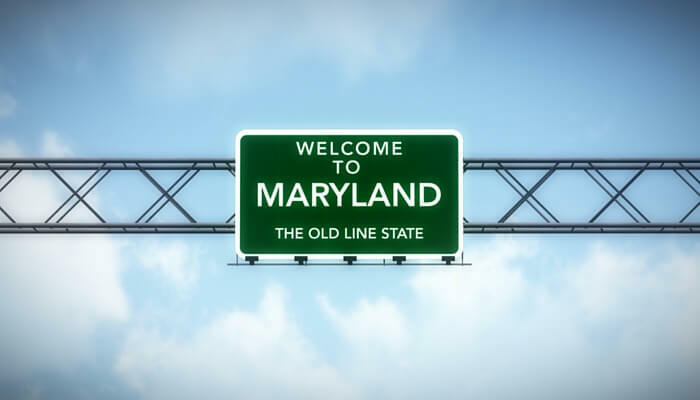 Their network is available in Silver City, Maryland. According to the Fio's website, benefits of this service include significantly improved speed and bandwidth and a number of service plans. Pricing for Fios plans is transparently listed online, with helpful information to guide customer decisions about the type of Fiber connectivity that will work best for their needs. Verizon offers 24/7 customer support and some self-serve tools for troubleshooting online. Communications vendor AT&T is unveiling nationwide fiber Internet services, which is now available in "over 180 markets" nationwide. Currently, their service is not available to customers in Silver Spring, MD. Montgomery County is also not currently listed among the planned service sites on the AT&T website. RCN is a provider of "high speed" Internet services in Montgomery County and the DC Metro area. While RCN's data services have won awards for speed and reliability, their high-speed Internet packages do not include direct fiber connectivity for Silver Spring customers. Google Fiber is currently in the process of nationwide expansion. The vendor promises a "different kind of internet" for customers on their network, which has been met with high demand nationwide. Currently, Silver Spring is not listed among sites that currently can receive Google Fiber. Montgomery County has also not been announced as a site for planned expansion. While fiber-optic Internet services for business is a relatively new technology, remarkable gains in bandwidth and speed have created high demand nationwide. While many major communications and data vendors are working to quickly expand nationwide availability, most business consumers have a few choices in their region. 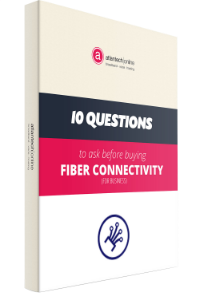 For businesses in Silver Spring, Maryland, available options for true fiber Internet are limited with Atlantech Online and Verizon FiOS being the two most prevalent choices made by business. To learn more about how your company can benefit from super-reliable, lightning-fast fiber-optic Internet services, contact Atlantech for more information on service in Montgomery County.